Casinos offer their form of lotto, which is an in house version of a national, or state run lottery. They may limit it to only the casino patrons or it may be a multi-casino setup like the progressive jackpots. There are also sites that will allow their customers to purchase the lottery tickets sold in a county or state from outside the country. These should be checked out very closely to make sure they are legitimate. Anything is possible on the Internet and the lottery is no exception. The basic rules apply whether buying the ticket in person or on the net. The basic lotto ticket is pick 6 numbers and a bonus number and if they all come up you will win the current jackpot or a portion of it if there is more than one winner. In a casino lotto the jackpot can be the same for every game or it can be progressive until someone picks all of the correct numbers. The odds on a lotto win in a casino are usually better than the keno game as the pool of number is smaller. In a state or country run lotto the odds of winning are huge, but people still line up to take the chance. The way to get your ticket or playslip is to mark a board with your number picks and then turn it in and pay the fee. 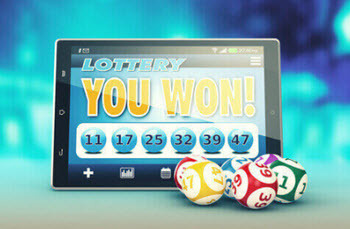 If you are lucky you may win something or even the jackpot. If not you took the chance with a small amount of money and even if you lost, you are not out a great deal. Some folks rather than play every week, wait until the jackpot is at a certain level before they make their bet. This does cut down the monthly cost of playing since there is no cost for the weeks you do not play. Of course your numbers could show up when the jackpot is small, but that is the chance that you take. If you win, do not take an annuity payout. That is a poor choice for a winner. Before you collect, you could get advice from a tax person, but for most people the cash payout is best and they can then invest it themselves with some sound advice from a good financial planner. A large investment in tax-free instruments can return a sizeable amount each year and the principal will never be touched. If you win, try to keep it under wraps as people and relatives will come around asking for a loan or a handout. Make up your mind early how you are going to handle this situation because it is very likely to happen to you. Another piece of advice is try to maintain some normalcy in your life as a windfall like this can have very destabilizing effects. Get good advice as to investments and taxes before you go crazy spending the money. How much you should wager when the pot is extra large is a decision based on what you can afford. If you could light a match to the money and it would not change your life style then the wagered amount is ok if it is done only on rare occasions. Extra large pots are worth a little extra wager, but it should not become a habit as the wagers come every week and can amount to a significant total at the end of a year. Keep a cool head and hope you win. If you do win, remember there are many good people that could use a little help from a stranger. Take care of your loved ones first and the stranger second is a valid rule to apply. The casino industry owes a big thank you to the Chinese who brought this game to the gambling industry. Without it many casinos would lose a sure profit center each and every year. Also the players would miss the fun of winning while eating their dinner. If you want to test your luck at a very low cost, Keno may be the game for you to try. It has no learning curve and takes no skill to play. The game is exciting when the first few numbers called are matches to the ones you picked and will make your heart beat faster for a few minutes. Try the game as it will payoff if you are lucky and the price is right.